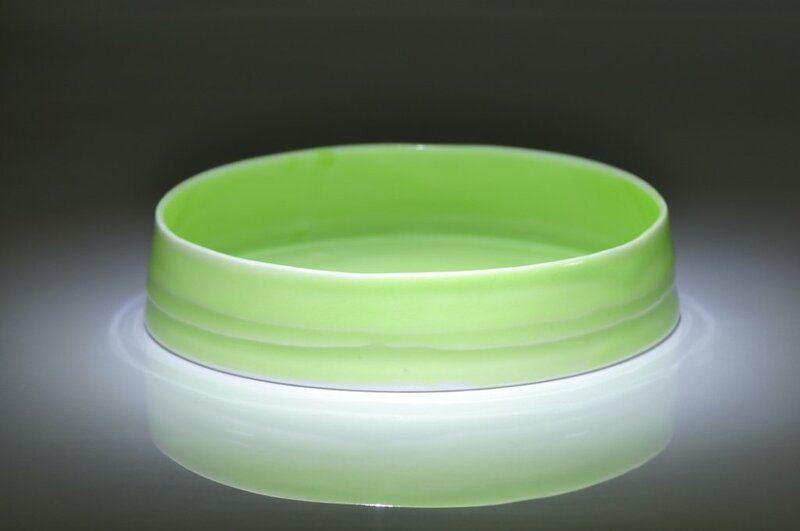 The vibrance, clarity and translucency of this mint green glaze may only be achieved on the finest, whitest porcelain, in this case Southern Ice. Other bodies tend to muddy the colour. 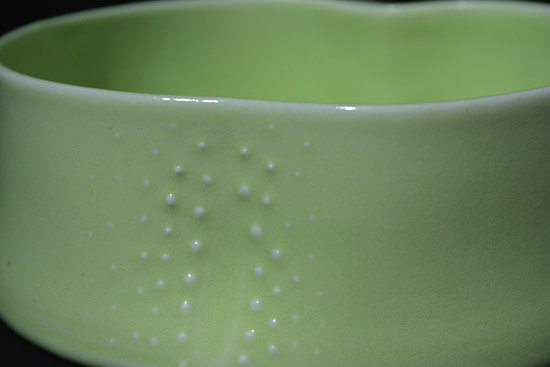 Each piece is individually hand thrown on the wheel with walls thin enough to bring out the translucency of this fine porcelain and the form is then subtly altered while still wet. 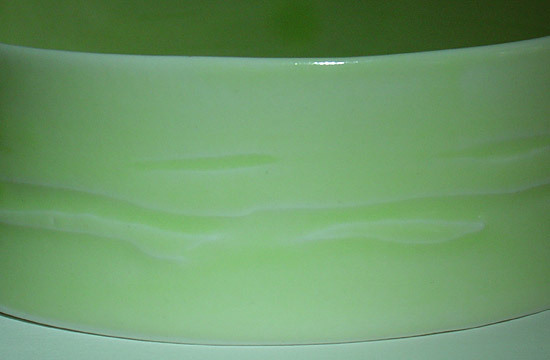 The horizontal carved lines on some of the pieces are created using shellac in a resist technique. 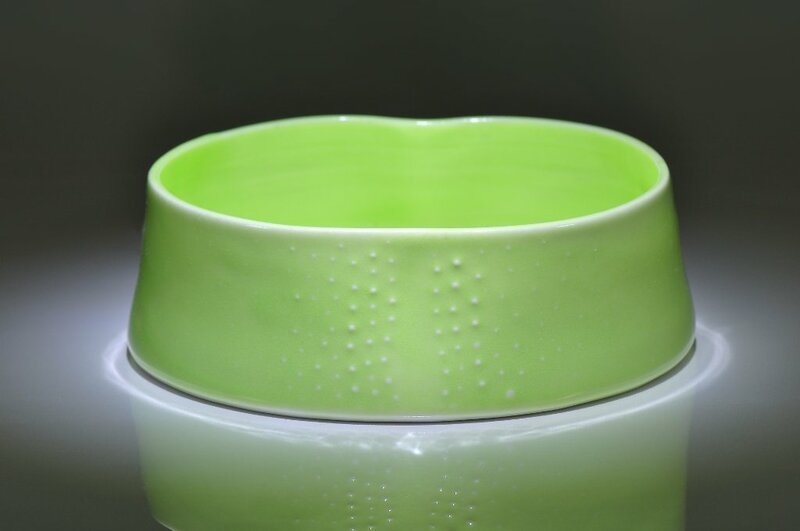 The raised spots are created by slip trailing liquid porcelain onto the surface. 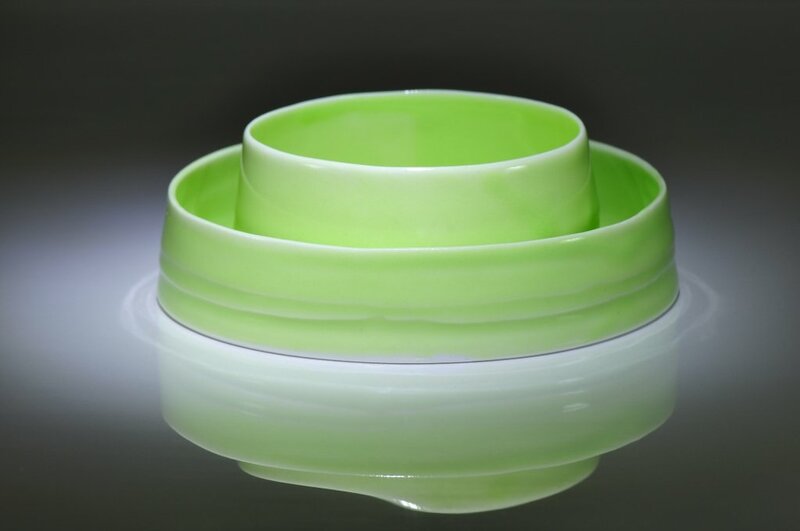 The transparent glaze pools in the carved sections conferring a depth to the glaze and giving a richer colour. 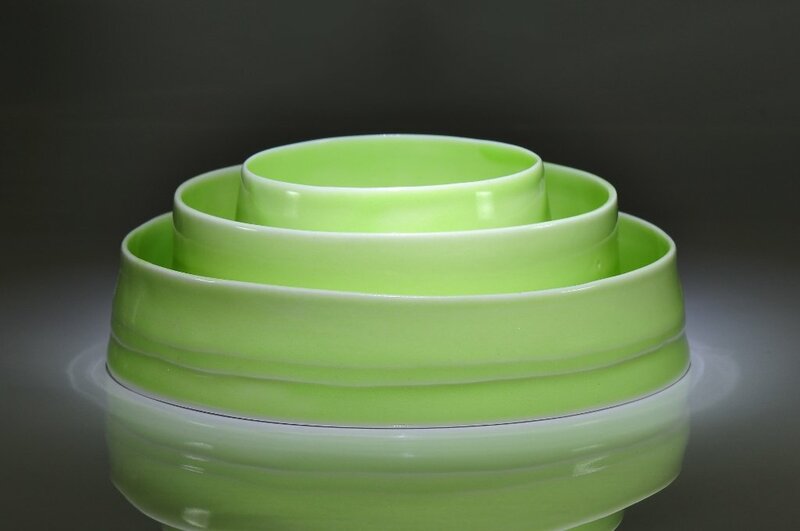 The glaze is paler where it is thinner on the relief decoration and on the rim enhancing the form of each piece. 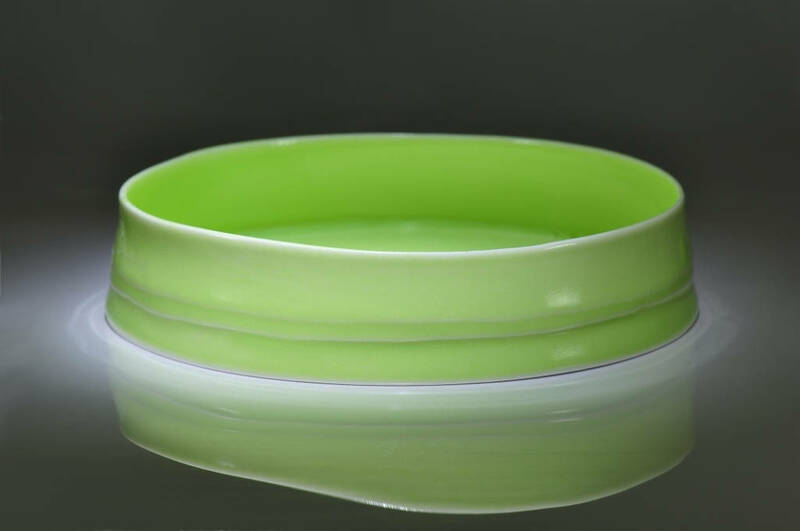 The bowls, fired to 1280° centigrade in reduction, range in size from approximately 8-18 cms in diameter and 4-7 cms in height. The pieces nest well for display, storage and transportation. 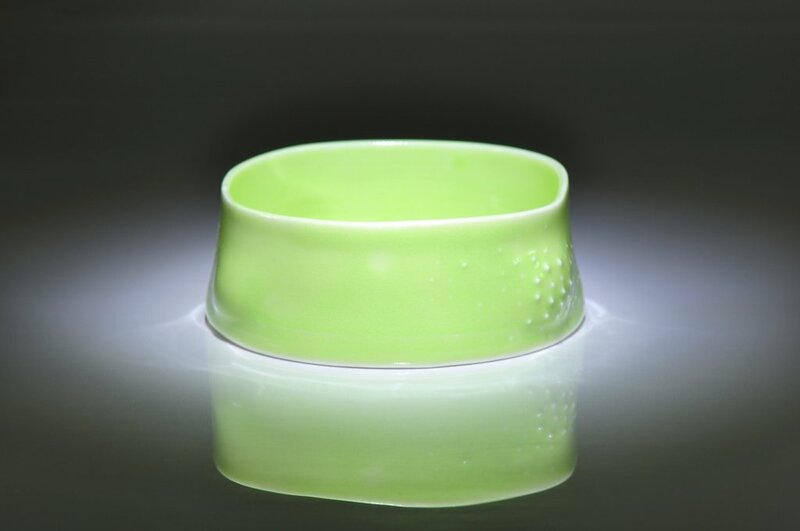 The bases are polished so they do not scratch surfaces. 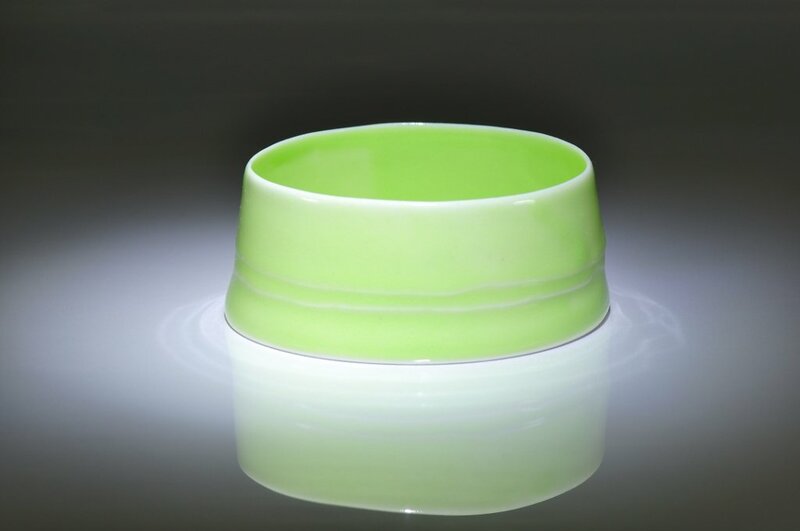 The surface contours on the green bowl are achieved using a resist technique and shellac. 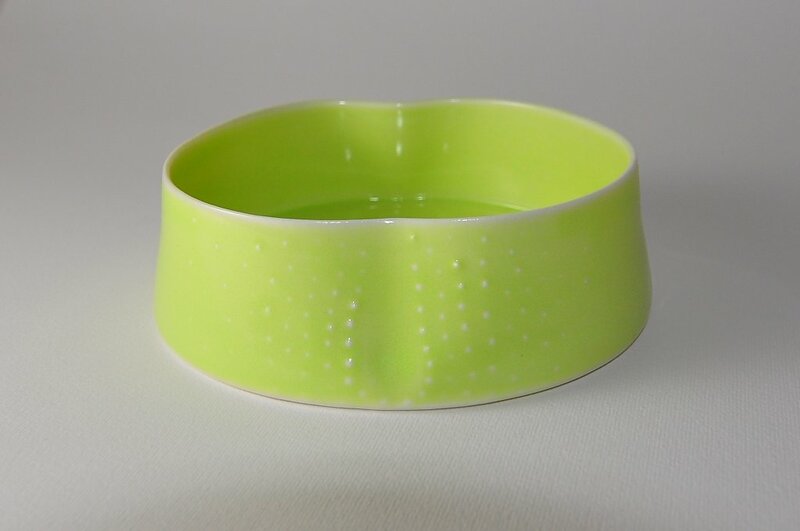 Once the piece is bone dry and before it is fired, the design is drawn on the body with a soft pencil. Shellac is painted onto the areas intended to stand out in relief. The walls are then carefully wiped with a damp sponge, which removes layers of porcelain from the surface creating a relief pattern. As the sponge is wiped repeatedly across the surface some of the shellac comes away giving an organic rather than mechanical feel to the design. 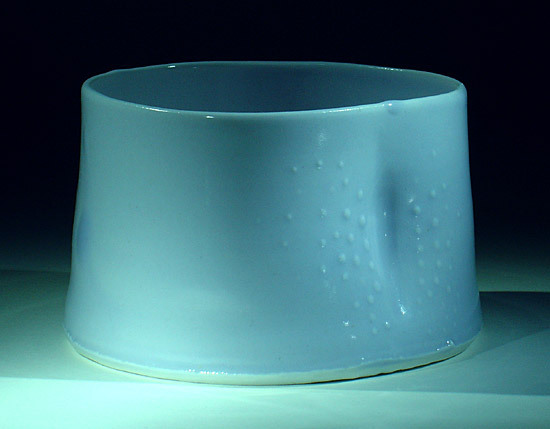 The blue piece, like the green one below it, was first thrown then altered while the porcelain was still wet. 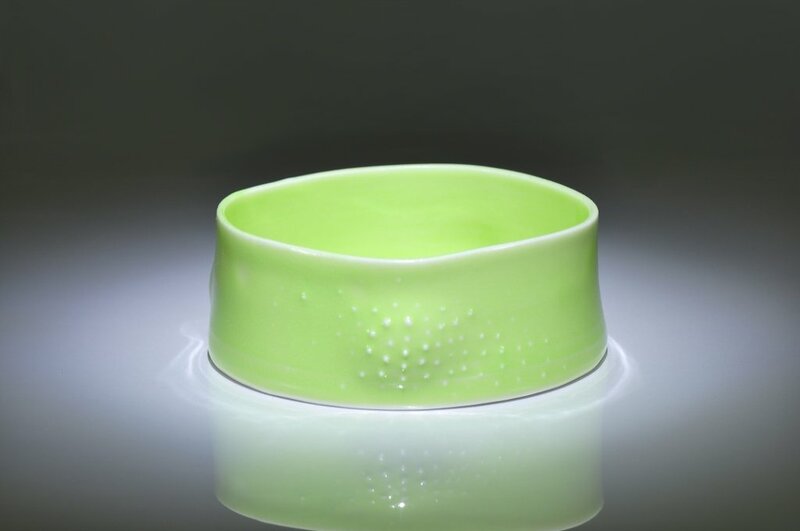 When the porcelain becomes firmer, it is decorated with slip-trailed blobs of liquid porcelain to give a raised surface. 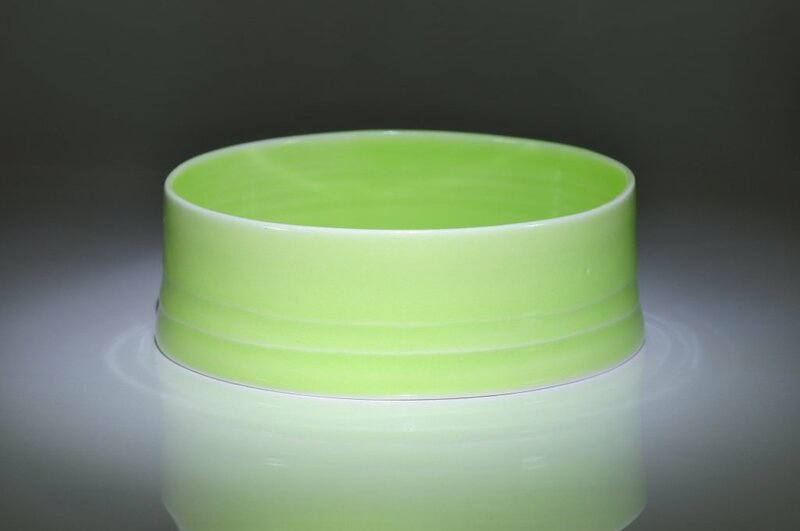 The glaze highlights the decoration and the rim, appearing paler where it is thinner.